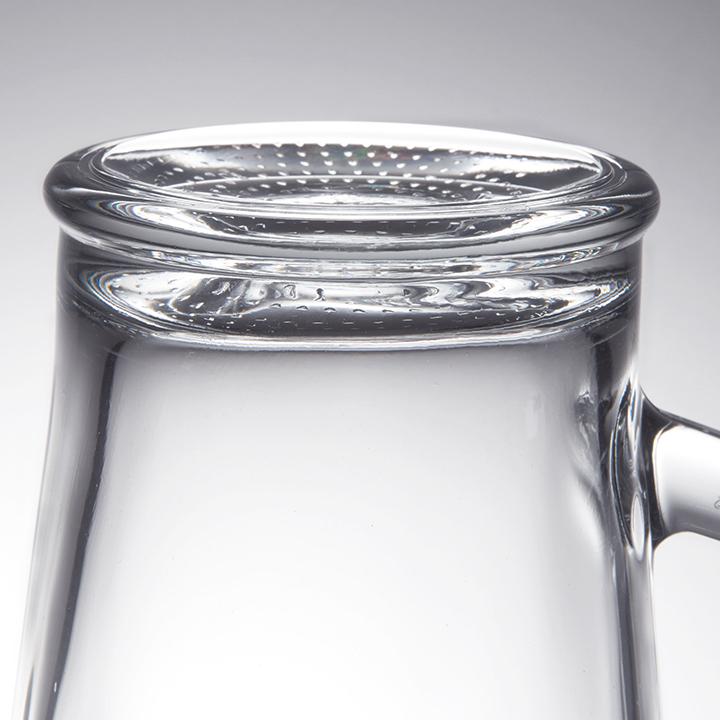 Dimensions 9.25" H x 5.75" Top diam. 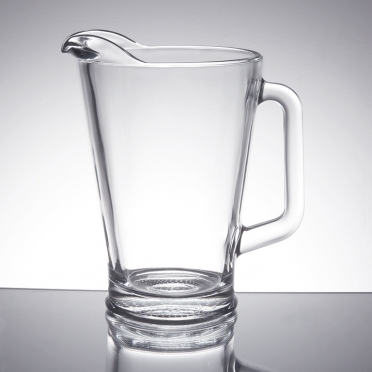 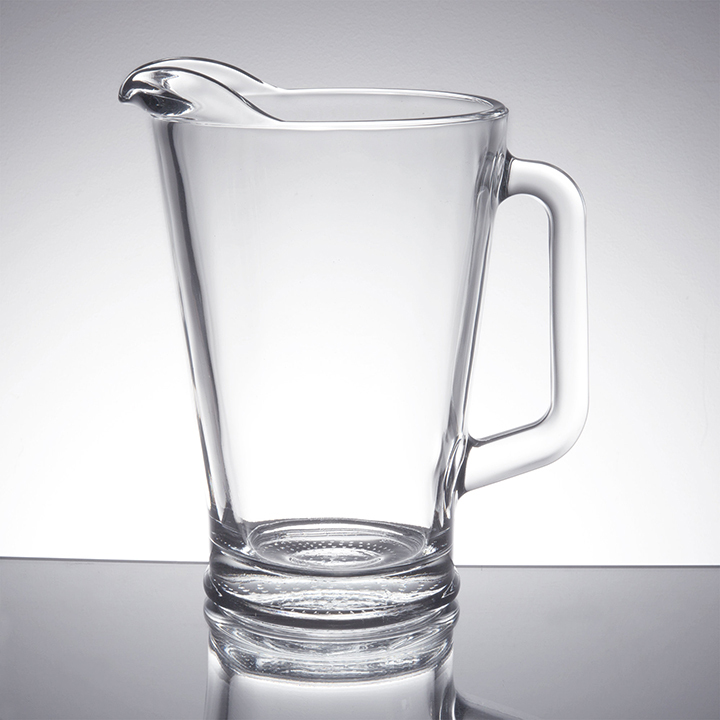 This glass water pitcher provides a sleek and contemporary look. 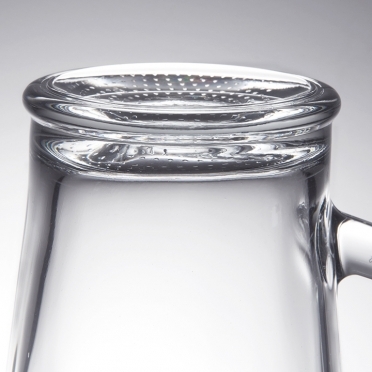 It is perfectly clear, which means that your beverages will be easily viewed. 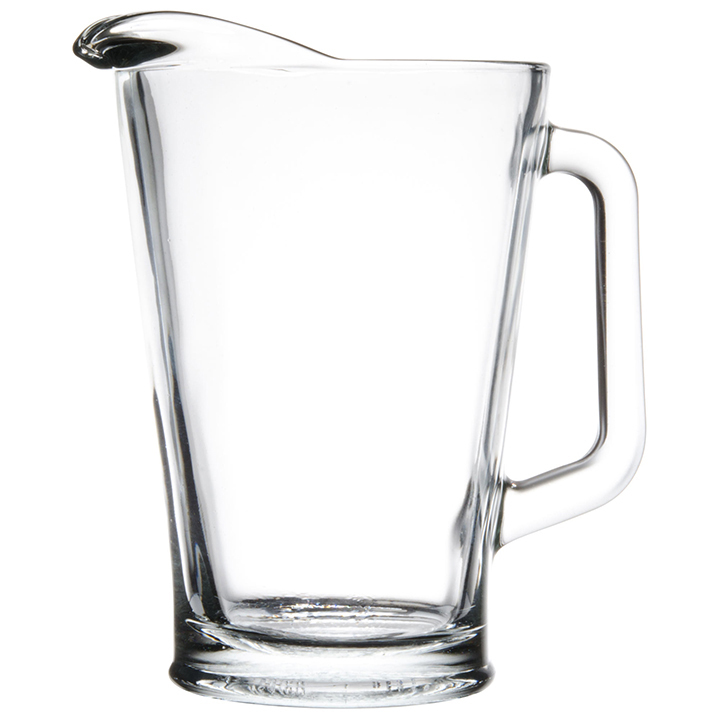 The wide handle makes pouring simple, and the large lip helps prevent spills. 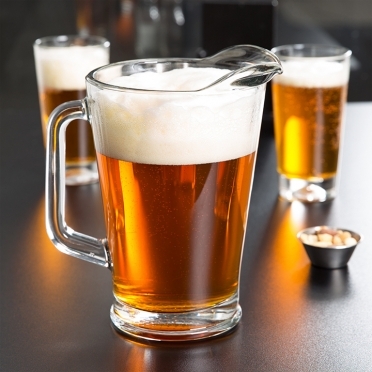 Whether you want your guests to enjoy the beautiful color of your homemade sangria or want the frothiness of your beer to be evident, this pitcher will deliver.